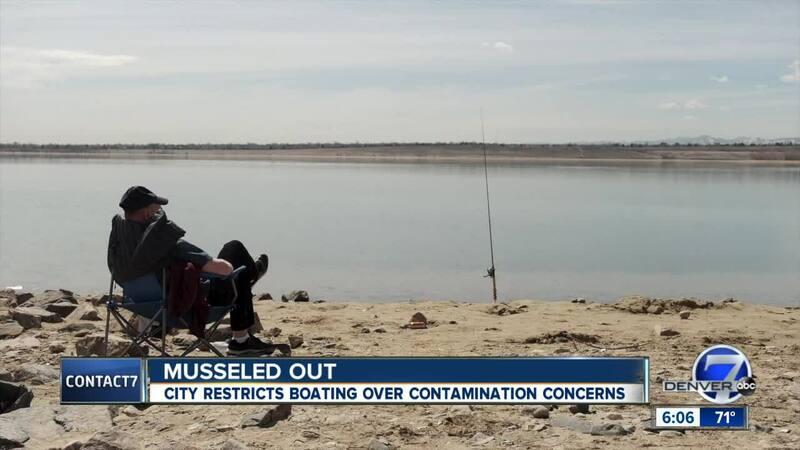 WESTMINSTER, Colo. — Westminster announced last week that trailered boats would not be allowed on Standley Lake this summer because of concern over invasive zebra and quagga mussels. The decision to close the lake has many Standley Lake boaters questioning why it was made and the timing of the annoucement. “Everything is closed at this point. There are waiting lists everywhere,” community member Kathy Escobar said, referring to the timing of the announcement. Boating access to Standley Lake is restricted and has some of the strongest rules and most thorough decontamination procedures in the state. “To say that these machines are infected is ludicrous," Allen said, pointing to a lot full of boats. "It’s absolutely ludicrous." But Westminster City Manager Don Tripp told Contact7 that people found a way around its protection systems, putting the entire lake at risk. “We could no longer assure that we weren’t allowing contaminated boats into the lake," Tripp said. That information came to Tripp's attention in January. He said he instructed city staff to research the issue, but claims that once no acceptable solution could be found and put in place by the start of the season, he announced the ban. Non-trailered boats like canoes or kayaks will still be allowed on the lake. “They’ve seen no mussels," community member Jose Escobar said. "They’ve found no mussels anywhere in Colorado. So now we got no we’re turning the spigot off." Tripp admitted that there has never been documented evidence of a mussel infestation in the lake, but said the city could not accept the risk. “Unfortunately this is one of those situations that is untenable," he said. The next big question is when, if ever, will boats be allowed back on the lake? “If we can resolve this mussel problem and protect the drinking water supply for the 300,000 people in the three cities that rely on it, we will put boats back out there. We can’t right now,” Tripp said. “We’re open-minded long term, and it may be possible in future years to get this open for recreational use for power boats,” Tripp said. Westminster will hold a community meeting on Tuesday, April 2 to discuss possible ideas and solutions. That meeting will happen from 6 p.m. to 7:30 p.m. at the City Park Recreation Center on Sheridan Boulevard.